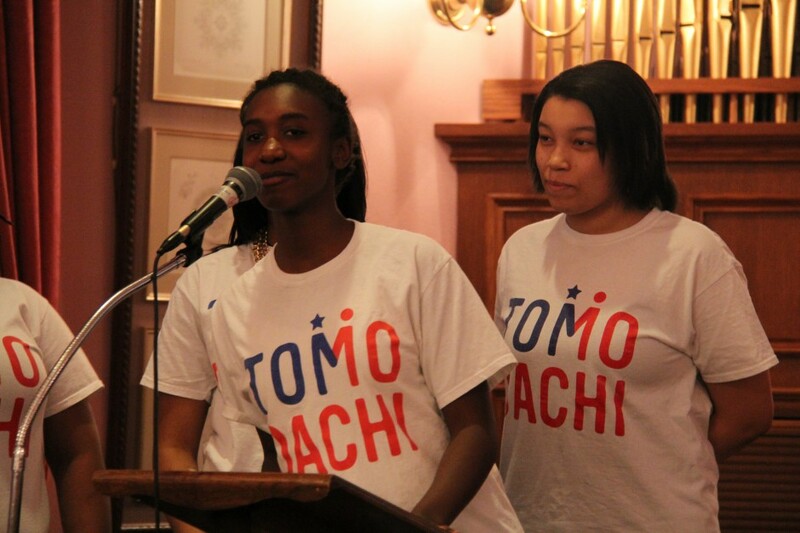 Six TOMODACHI U.S.-Japan Youth Exchange students gathered on March 11, 2014 in Washington, DC to present what they learned from their visit to Japan that included a special trip to the Tohoku region. 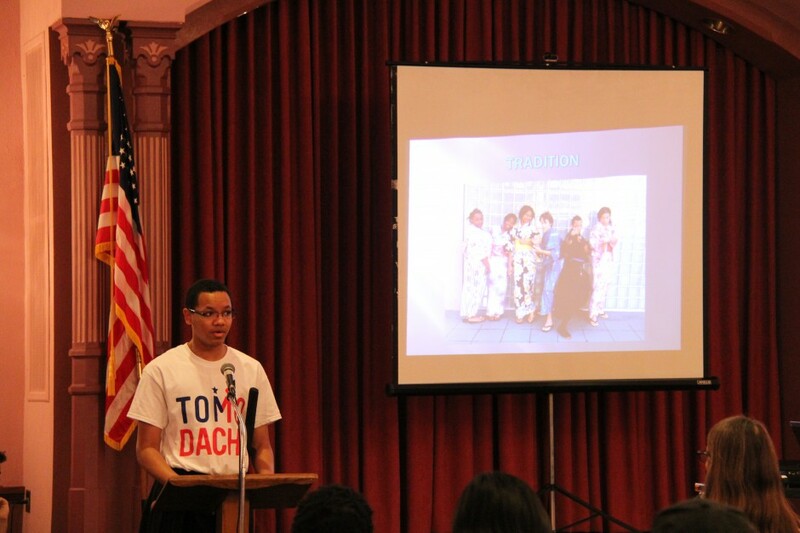 The presenters were DC public high school students who, along with six Japanese students from Keio High School, who participated in the exchange program in the summer and fall of 2013. 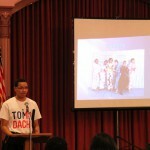 The Japanese students visited DC in July; the American students visited Japan in November. 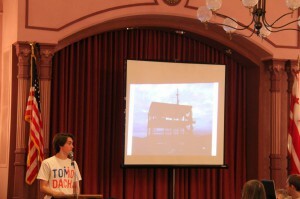 The DC students’ families, friends, educators and other Washington community members attended the presentation, held on the third anniversary of the Great East Japan Earthquake. 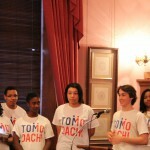 The students received a written message from Washington, DC Mayor Vincent Gray, congratulating them on their participation in a program that deepens understanding between the United States and Japan. 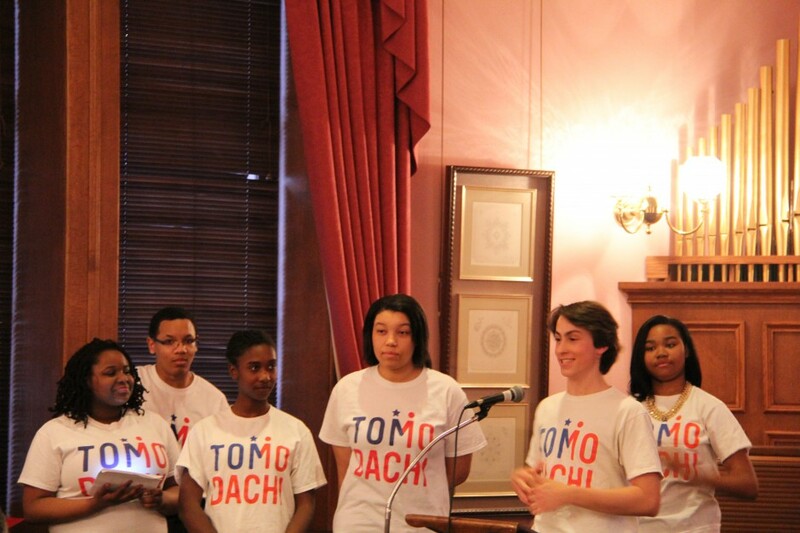 Afterwards, each of the six students discussed their visit to the Tohoku region, recalling their impression of various sites. 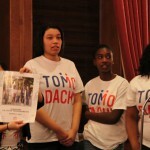 During the presentation, one of the students, Atiya Artis, shared a unique encounter with a woman who happened to sit in front of her on a train in Tohoku. When Atiya found out the woman had lost all her family in the tsunami, she tried to console her fellow passenger, but was overcome with her own strong emotions. Instead of speaking, Atiya began singing “Lean on Me” on the train. 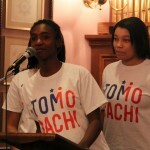 Atiya said during the presentation that she empathized and connected with this tsunami survivor, and that she will never forget her. 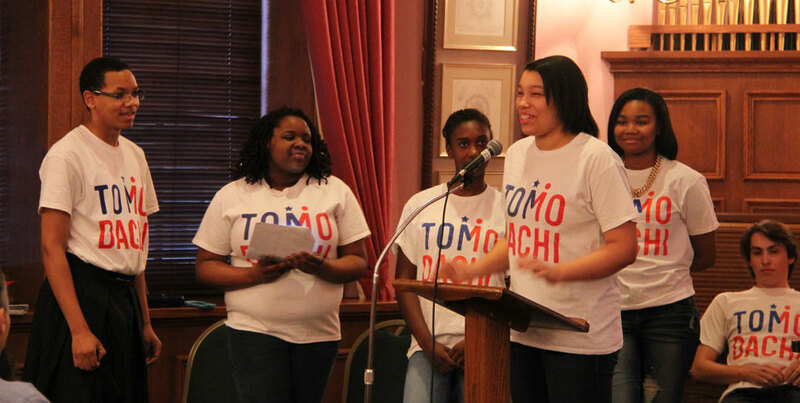 Inspired by their visit, many students pledged to study Japanese and to return to Japan — perhaps as an exchange student or as an English teacher. 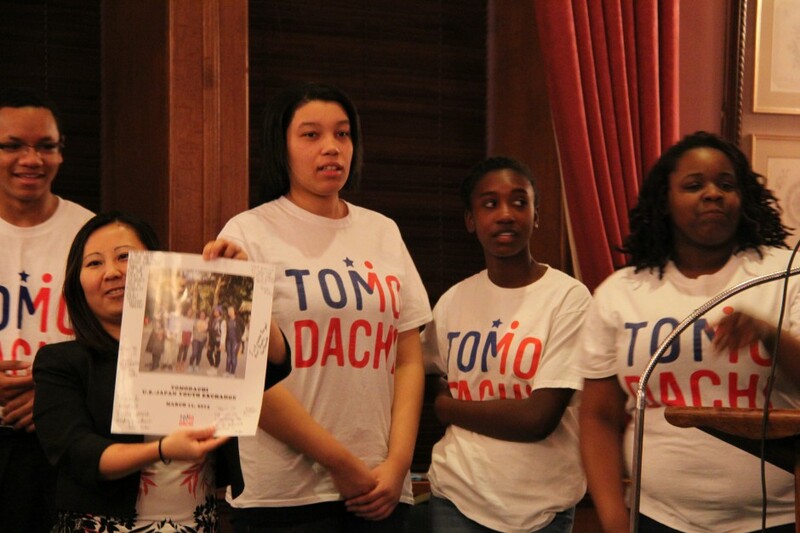 The students continue to meet regularly in Washington, DC and are working on social action projects including a Tohoku exhibit and creating a children’s book to share stories about Japan. 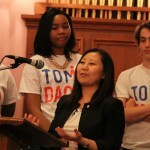 The TOMODACHI U.S.-Japan Youth Exchange Program is organized by the American Councils for International Education in collaboration with their partners Globalize DC, the Akira Foundation and Keio Senior High School. 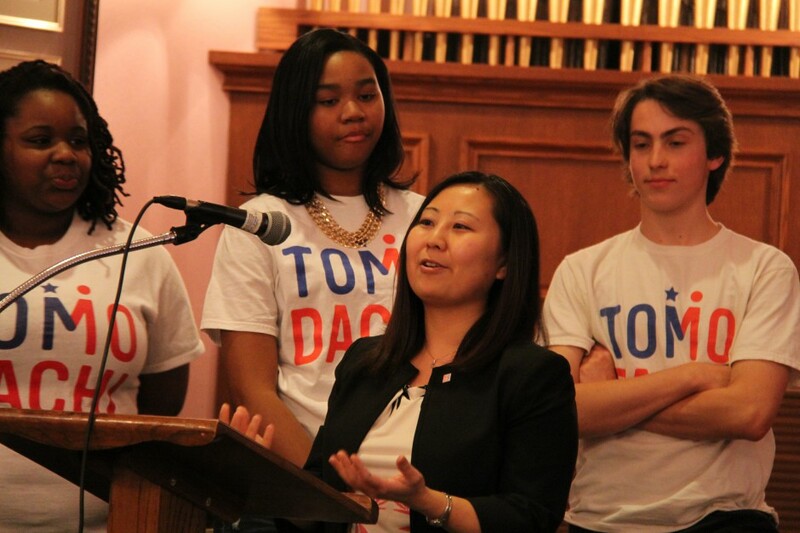 The presentations that were held in Washington, DC in March 2014 were sponsored by Globalize DC.